Oil and gas production often takes place under especially difficult conditions. The challenges faced by the filters include fog, salt, spray, air pollution from other causes and very high dust concentrations. Further difficulties are posed by the byproducts of oil extraction and industrial pollutants such as hydrocarbons. Prevent corrosion and fouling. Increase the service life. In oil and gas production, reliability and efficiency are top priorities. Overcome your challenges with the filter competence of Freudenberg in the area of oil and gas. 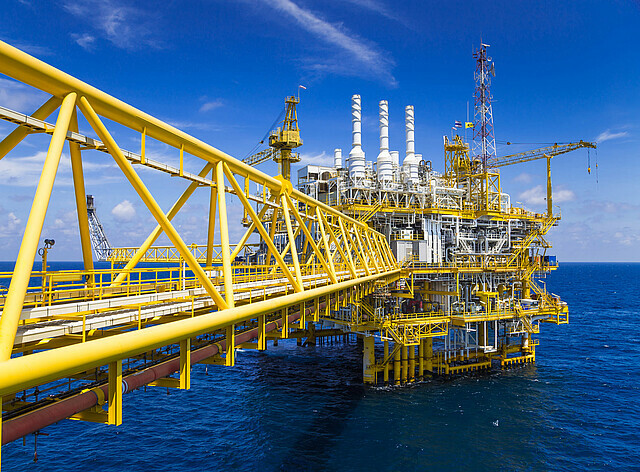 Learn more about intake air filtration for plants in the oil and gas industry. Discover our products for the oil and gas industry.